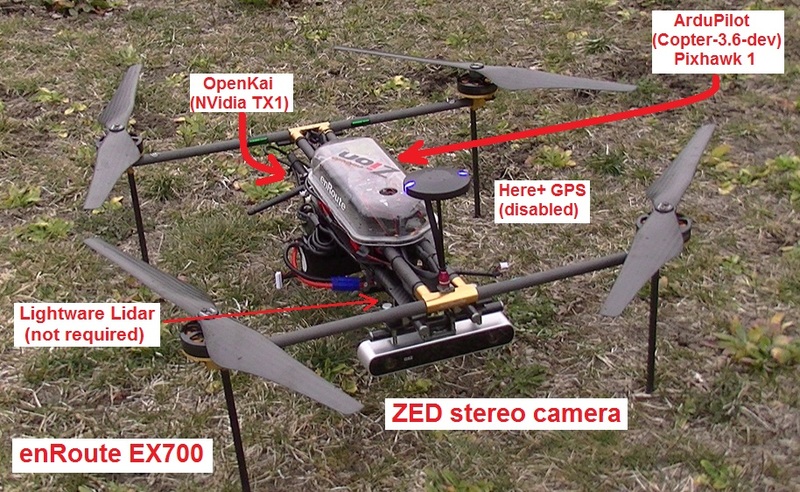 This article explains how a ZED stereo camera can be used with OpenKai as a substitude for a GPS allowing position control modes like Loiter, PosHold, RTL, Auto. This is an feature was released in Copter-3.5. 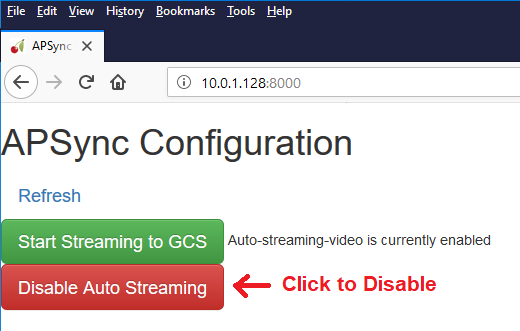 disable APSync’s video streaming (so that OpenKai can use the camera) by connecting your computer to APSync’s access point (ssid=ardupilot, pw=ardupilot), then open a browser to http://10.0.1.128:8000 and click the red “Disable Auto Streaming” button (button should turn green) and reboot the TX1. Ensure that Copter-3.5 (or higher) is loaded onto the flight controller and connect with a Ground Station (i.e. Mission Planner). Set the home position from the ground station map (from MP’s Flight Data screen, right-mouse-button-click on the map and select “Set EKF Origin Here”). The vehicle should appear on the map. Setup an auxiliary switch to enable/disable object avoidance and move switch to the off position. Alternatively set PRX_TYPE to 0. 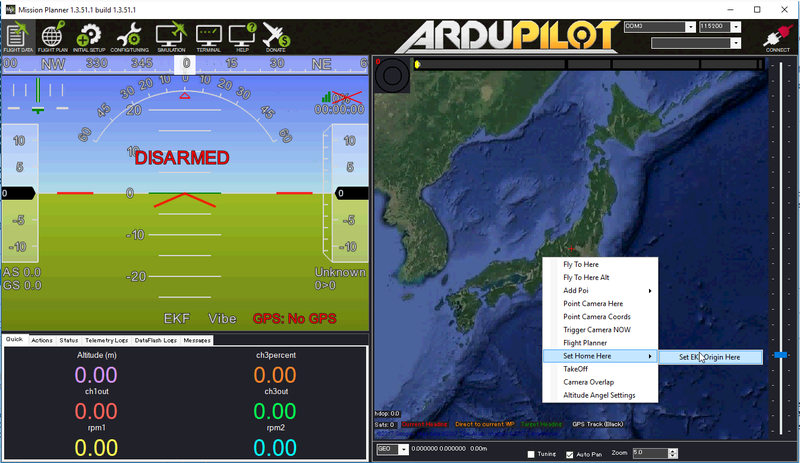 This helps ensure the vehicle will not backaway from objects in AltHold mode which could surprise the pilot. The ZED’s visual odometry information will appear in the VISO dataflash log messages. Distance to objects ahead of the vehicle will appear in the PRX messages.